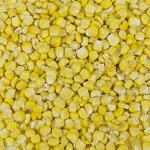 Give the universal gift that everyone enjoys! 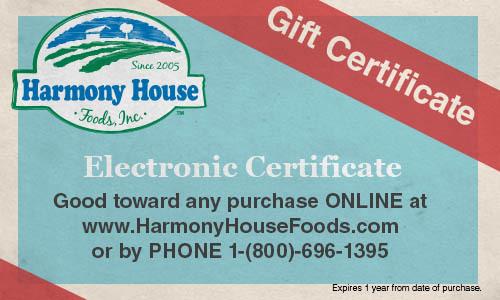 Let your friends and loved ones shop for the quality products you've come to appreciate by sharing a Harmony House Foods Gift Certificate. Give the universal gift that everyone enjoys! Let your friends and loved ones shop for the quality products you've come to appreciate by sharing a Harmony House "E-Gift Certificate" with them. These electronic certificates are as good as cash online, or by calling our toll-free number: 1-800-696-1395.